"Sir Peter Blakes life was filled with adventures. During his 30-year career on the ocean, he sailed around the globe, won the worlds most famous races and broke records. Even his red socks became a national sensation. But no matter how many trophies Peter won, he always knew the... read full description below. 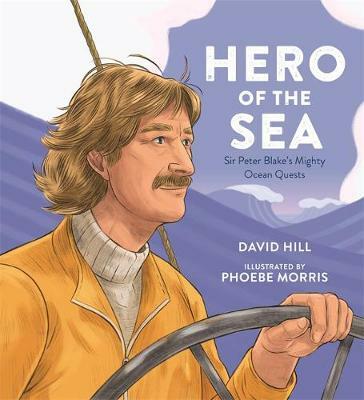 A stunning biographical picture book for young readers about Sir Peter Blake, world-renowned New Zealand yachtsman, adventurer and environmentalist. 'Remember,' he wrote, 'this is the most beautiful world, and it's the only one we've got.' Sir Peter Blake's life was filled with amazing adventures. During his 30-year career on the ocean, he sailed around the globe, won the world's most famous races and broke records. Even his red socks became a national sensation. But no matter how many trophies Peter won, he always knew the survival of our planet was more important. This illustrated picture book, by an acclaimed author and illustrator, tells the remarkable story of a true Kiwi hero. It is the fourth book in their bestselling series about famous New Zealanders.